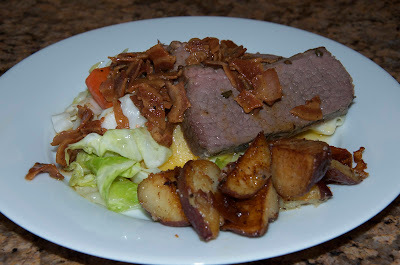 It wouldn't be St. Patrick's Day if you neglected to have a traditional English meal for dinner. But hey, it's food...it's paleo...and it's good the day after too! 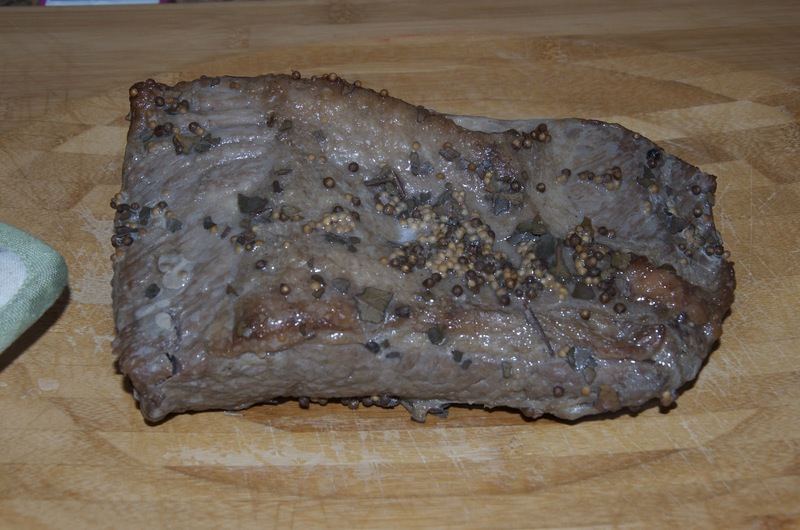 This year I wanted it to be exceptional...as I am not an overly big fan of corned beef. But if you start with a good cut of brisket, the right spices, cook it slow and low you can't go wrong. Plus, the sides with this menu make it swoon worthy. Seriously, pancetta is like butter. It makes everything better. Mix the spices together. 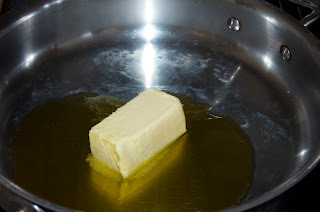 Add the oil and mix well. 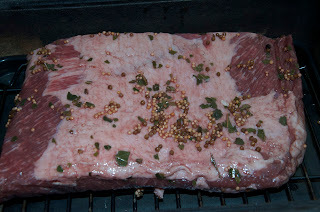 Coat the brisket in the spice mixture and allow to marinate up to 3 days. Preheat oven to 300 degrees. Place the brisket on a rack inside of a cast iron dutch oven. I have one similar to this. Cover and set it oven, cooking 2-2 1/2 hours until firmly tender. What I mean is that it should be moist and tender but still firm enough that it doesn't full apart. That just makes it easier to slice the next day for a Reuben! I did use Kerrygold, so that is something Irish, right? 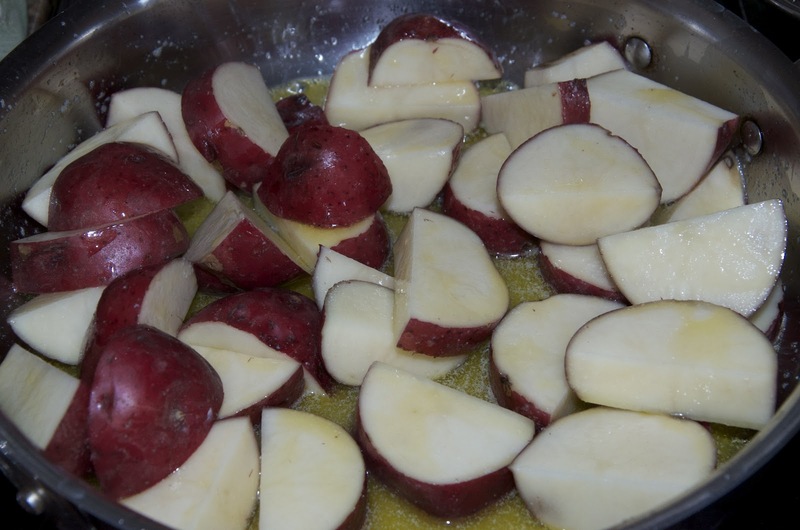 5 large red potatoes, scrubbed and cut in slices and then halved. Preheat oil and butter in large sauté pan over medium high heat. Add the potatoes, stirring to coat with butter mixture and then place a lid on them. Turn the potatoes every few minutes. 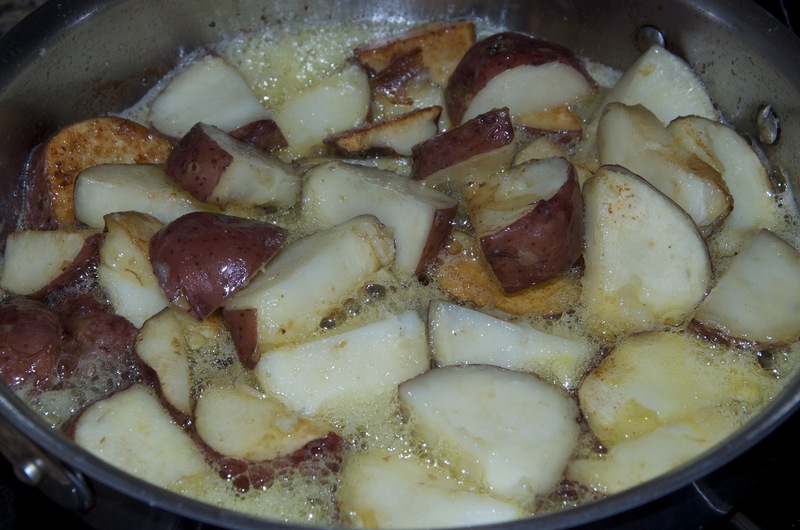 When the butter mixture is starting to get foamy, and most of the potatoes are golden brown, reduce heat to medium and remove the lid. Cook another 5-10 minutes until they start to get a dark golden color. Salt and pepper to taste. Preheat oven to 400 degrees. Coat the carrots and rutabaga in 2 tbsp. 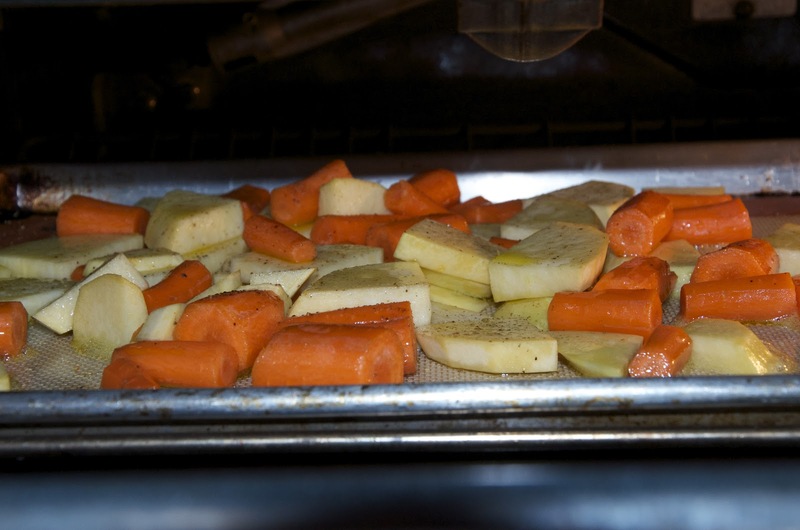 olive oil and place on sheet pan. Cook for about 10 minutes. 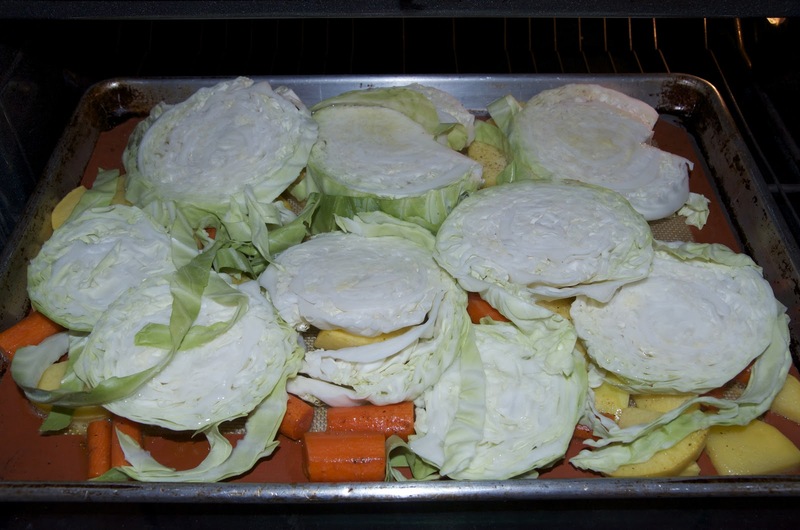 Remove from oven and place cabbage rounds on top of root vegetables. 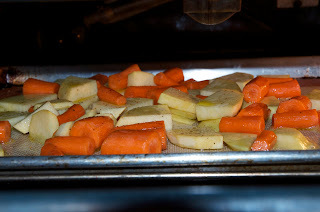 Coat evenly with 1/2 c. water and return to oven. 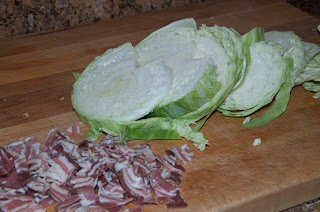 Cook an additional 10-15 minutes until cabbage is tender. 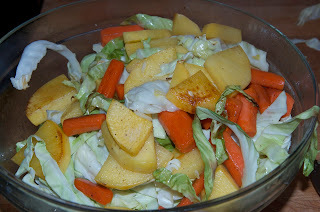 Allow to slightly cool and then mix in a large bowl. 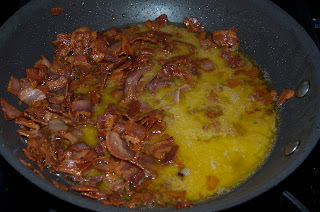 In a fry pan over medium high heat, add the pancetta and cook until golden brown. 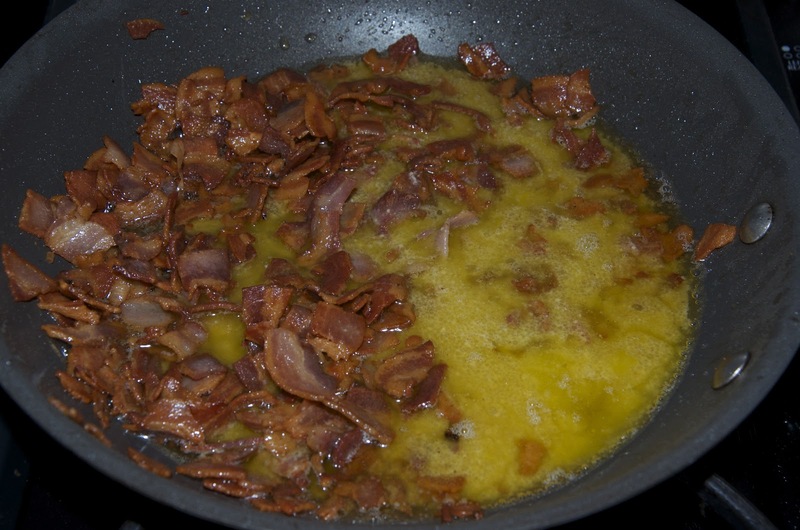 While the pancetta is cooking, whisk together oil, vinegar and mustard. 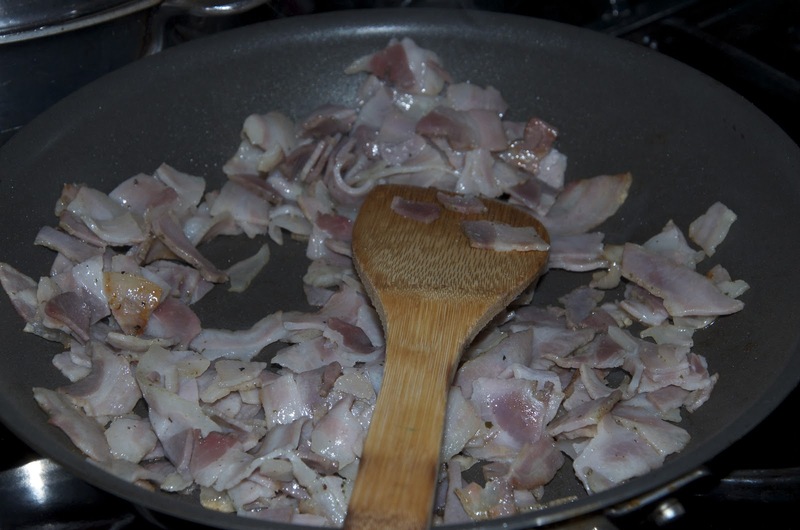 When the pancetta is done, slowly whisk in the vinegar mixture. 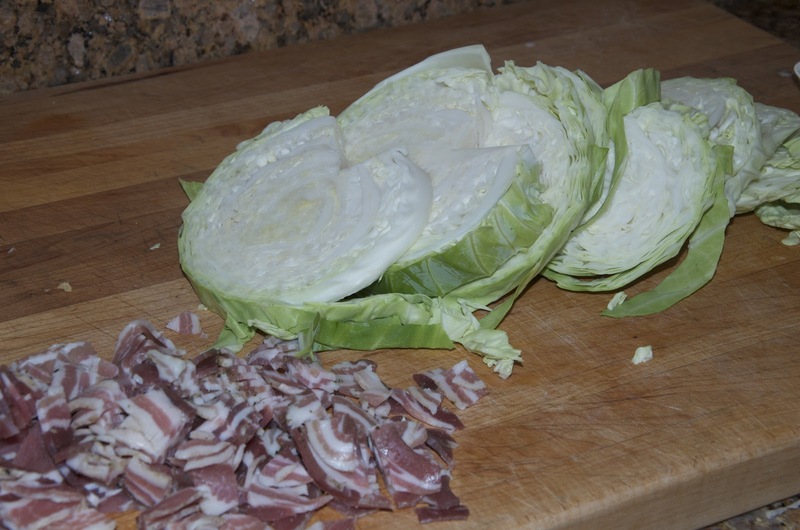 There will be pancetta fat but that is okay! Add more vinegar if you need to. Pepper to taste. 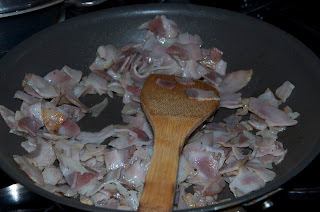 You shouldn't need salt because pancetta tends to be pretty salty.